On Friday (the 13th! Perhaps I can blame things on that!) Bugman texted me to ask about renting a movie that evening. I was torn. We’d not watched a movie together for awhile, but how was I to get in my Juneathon exercise? “Was thinking I could make a veggie stir fry,” he responded. Aha! Brilliant! I could go downstairs and do a workout video while Bugman cooked! But in the process of getting home, I managed to get some dirt on my hands, and then, unthinkingly, I rubbed my allergy-itchy eye. The eye started to get very unhappy. I took my contact lenses out, figuring that would be sufficient, then put on my workout gear and headed into the basement. I popped in a vintage workout video – Billy Blanks’ Tae Bo (on VHS!). 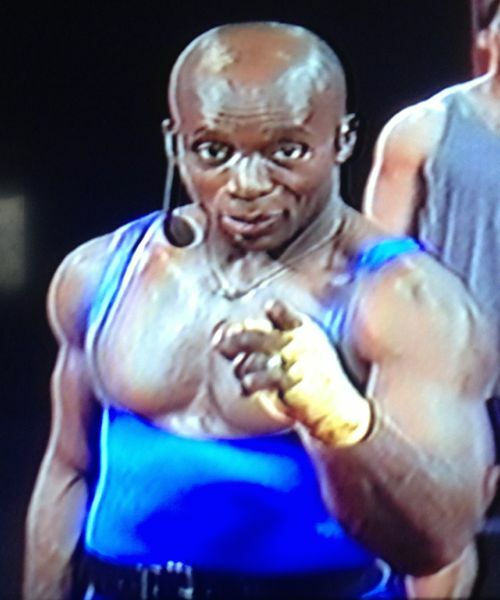 Billy Blanks wants YOU to have fun and get fit! I despise most aerobic workout videos. There is way too much thinking with all the intricate dance steps. But punching and kicking – that I can do! Just around the time I started to sweat, my left eye was really bothering me. Felt like I had an eyelash jammed into the corner of it or something. I paused the video and went over to the bathroom mirror to see if I couldn’t fix the problem and get back to my workout. I was somewhat horrified to discover that there seemed to be a slightly yellow gelatinous swelling attached to the bottom portion of my eyeball. EEEK! ICK!! I flushed my eye, wondering if I might need a trip to Urgent Care. Thankfully, by peering one-eyed at my phone screen, I was able to self-diagnose via the Interwebz (not necessarily the recommended thing to do) and determine that I had a self-limiting case of episcleritis. I threw back an antihistamine tablet, lay down on the couch, and put a cool, damp towel over my eyes. The Billy Blanks video went to sleep downstairs, forgotten. The following day, Saturday, I had to go into work for a little while to help document some vintage agricultural techniques being demonstrated at the museum – blocking and thinning of sugar beets. 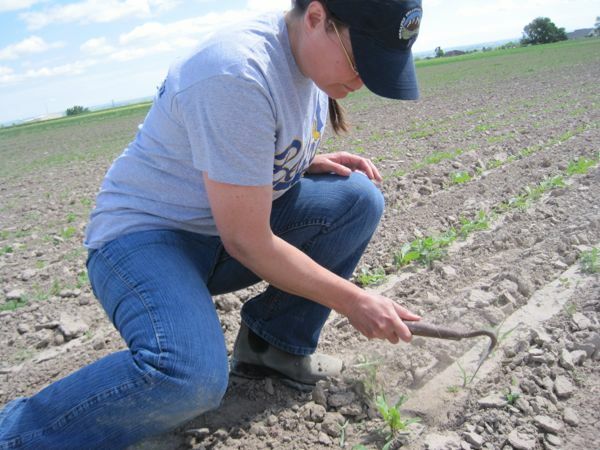 This involves using a hoe / your hands / dust-kicking equipment to pull out weeds as well as sugar beet plants that are too close together (the plants won’t mature properly if not given enough space). Me, blocking and thinning sugar beet using a short-handled hoe. Here in western Nebraska, the soil is young and fine-grained and prone to blowing up into a dust cloud at the slightest provocation. It’s also known to be windy out here, and the weather yesterday did not disappoint in that regard. It was the kind of day where, if you open your mouth to speak, you wind up crunching grit in your teeth. My still-irritated eyes were not real happy with this development. By the time I got back home, my allergies were kicking up again, which always makes me feel tired. I took another antihistamine and napped on the couch for the rest of the afternoon. Today, Bugman and I are thinking about biking out to Torrington, Wyoming. (That’s about 70 miles.) I’ll post about that attempt later today! This evening found me in a foul, low mood. A hundred niggling things at work. A saddle sore. A wonky ankle. Mosquito bites on my legs. 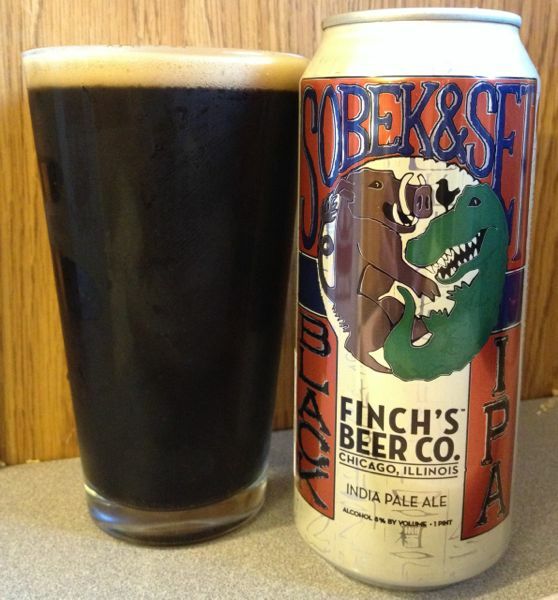 Black IPA – perfect for when you can’t decide between a stout and a pale ale, or for when you’re pouting. And I read some Juneathon blogs. One of them got to me. DAILY AMBULATION. Take it seriously. It’s true. I sit all day at work. Health stats show that kind of inactivity is really, really bad. But no biking today – saddle sore. No running, either, with that ankle. With the mosquitoes out, I don’t want to walk, either. 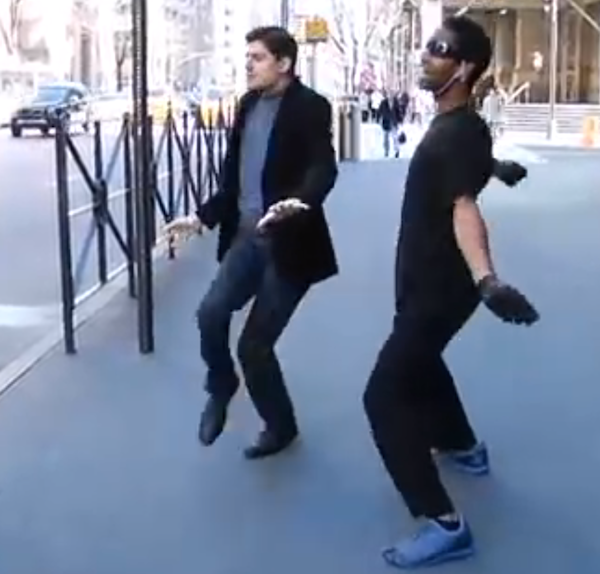 For some reason (maybe the beer), the perfect answer popped into my head – DANCE WALKING! So, I popped a 70s-80s disco mix “tape” (actually a CD) into the player and dance walked around my living room until I was dripping sweat and my cats were staring at me like I’d gone completely mad. I feel much better now. And my ankle behaved. Thank you, Nameless Dance Walk Guru Master (AKA Joe). And thank you for the ambulation reminder, Cynthia. I hope your mom heals quickly. It was too hot outside. I skipped my long weekend run. I had to work. I was too tired. It was too windy out. And, besides – I was going for a long bike ride. My anxiety about running grew. I missed so many runs. Would I lose all the gains I’d made? I did not want to run. Running is hard. I was creaky and had small pains and ran slowly. My hip is annoyingly achy now. 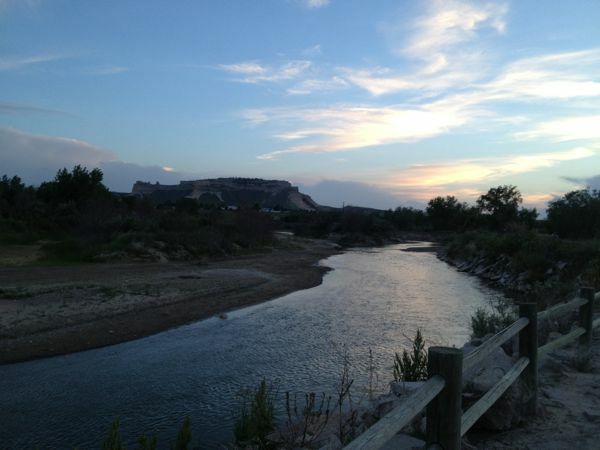 Bonus: I got to experience the North Platte River at dusk. There are some people who run for the sheer joy of it. I have some days like that. But most days, it is a real struggle for me. I am so grateful that I have people to support and encourage me. I could not do this without them.